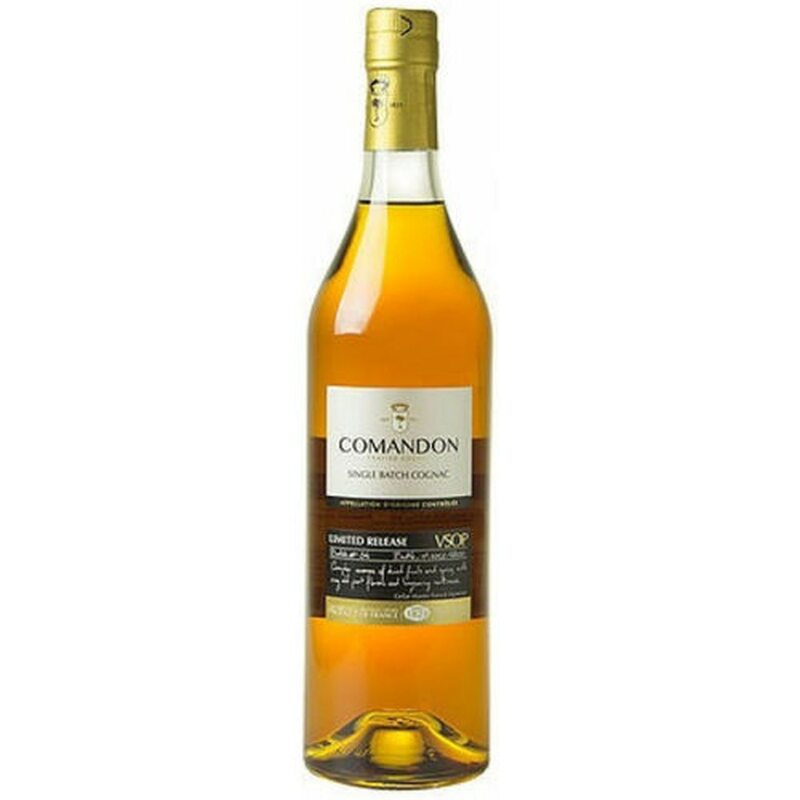 Comandon Cognac "Very Superior Old Pale" (VSOP) is a harmonious blend of some sixty eaux-de-vie from the best terroirs of the Cognac region selected for character and softness. It is aged for between 8 to 12 years in red Limousin oak casks that enhance our cognacs with subtle aromas. The result of this superior blend is a rare easily pleasing outstanding cognac. Notes of old Sauterne wines mingle with very old port flavors and aromas of vanilla. A light note of fresh flowers and exotic spices round out this mellow and smooth cognac. The color is an intense golden-amber with copper shining through. Very interesting complexity and structure with taste of fruits, orange, pear, apricot, and lingering nuttiness. 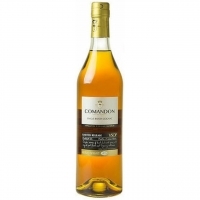 Comandon Cognac VSOP has an excellent fruit intensity complemented by subtle hints of brown sugar sweetness. Its taste offers a good balance of fruits and oak, with excellent flavors that lingers in the mouth for about 10 minutes.